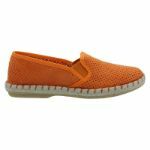 Available in a variety of colours to suit your mood, Nu by Neo has created comfortable and trendy flats for women on the go. A true classic, the orange shoes deliver a pop of colour and enliven any outfit you wear! 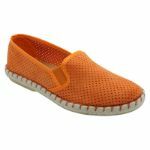 Go out for that walk around town or head to the mall and see how you stand out from the crowd with this charming shoe.